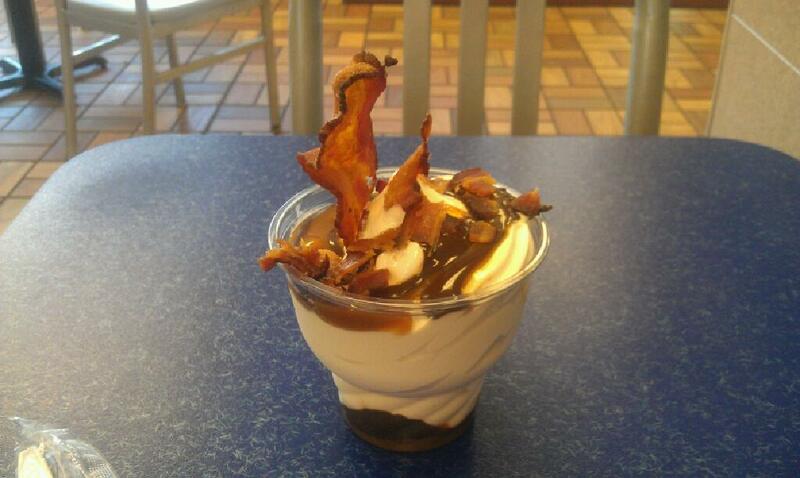 So, yesterday burger king came out with their bacon sundae. I love ice cream and I love bacon so I was instantly intrigued. So I ordered one and the girl was all excited to make the first one of the day even tho she said I don't know who would eat this, it looks disgusting. It definately looked strange. But it was SOOOOO good. One of those odd combinations that just seem to work. Like Mr booze always says, you really can add bacon to anything and it makes it better! The only complaint I have is the fact its made with vanilla, I hate vanilla. 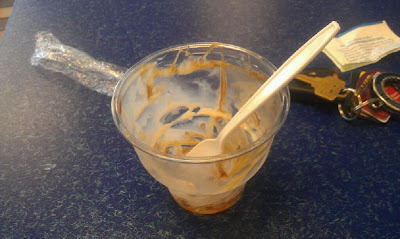 But the fudge and caramel on the bottom and top of the sundae was key. It was decent size and only $2.65. I highly recommend you try one.